Secretary of State Mike Pompeo has arrived in Turkey amid a growing diplomatic crisis over the disappearance there earlier this month of dissident Saudi journalist Jamal Khashoggi. Turkish officials reportedly hope on Wednesday to enter the Saudi consul’s residence as part of their probe into the journalist’s disappearance. Pompeo said the Saudis are committed to a “thorough, transparent and timely” investigation. Khashoggi, a critic of Saudi policy who has written for The Washington Post and other publications, has not been seen since he entered the Saudi Consulate in Istanbul two weeks ago. The Turkish government alleges he was murdered, a charge the Saudis have vehemently denied. Pompeo was dispatched by President Trump on Monday to meet with leaders in both countries. Trump has recently give the Saudis the benefit of the doubt in Khashoggi’s disappearance, after taking a harder stance last week. Pompeo met with Turkish President Tayyip Erdogan in the city of Ankara on Wednesday morning. The contents of their discussion have not yet been made public. 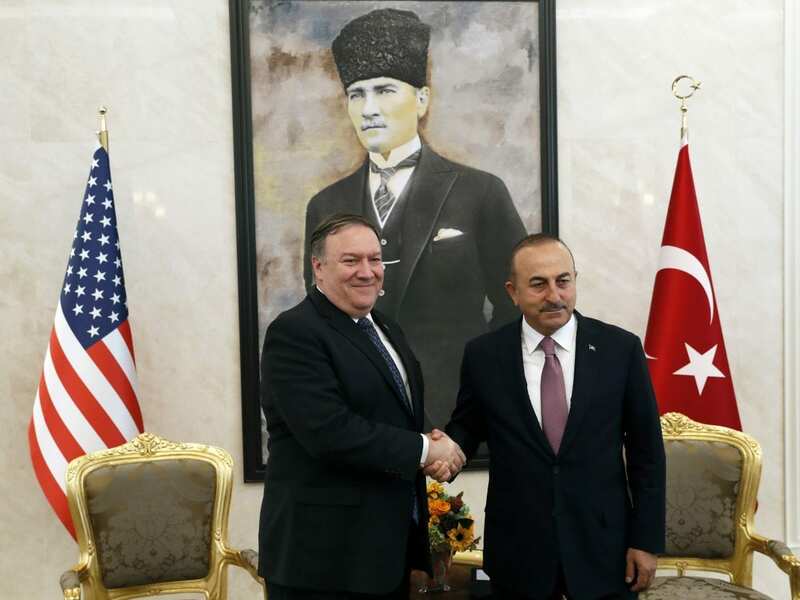 Reuters reports that Turkish Foreign Minister Mevlut Cavusoglu has said Pompeo would bring information about Khashoggi’s disappearance to Ankara. The secretary of state also met with Cavusoglu on Wednesday, the news agency says. A Turkish paper has alleged that an “assassination squad” of 15 Saudi men flew into Istanbul on Oct. 2, hours before Khashoggi was last seen entering the Saudi consulate. The New York Times reported on Tuesday that one of the suspects identified by the paper was a frequent companion of Saudi Crown Prince Mohammed bin Salman. He is also reportedly linked to the prince’s security detail. The paper says that nine of the 15 men with alleged links to Khashoggi’s disappearance worked for the Saudi security services, military or other government ministries.